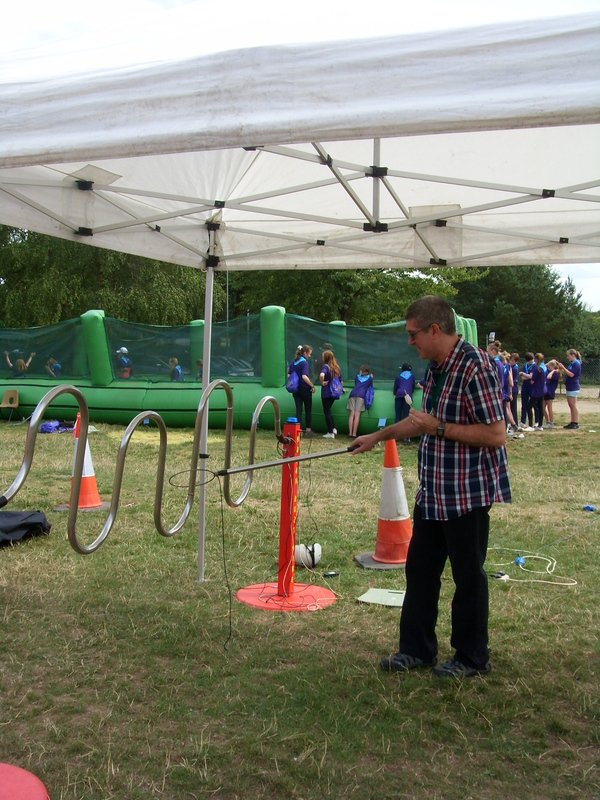 Girlguiding Hertfordshire celebrated its 100th birthday in 2014 and guides from all over Hertfordshire came to Phasels Woods to celebrate the event at a special camp. We were invited along to see the camp and share the party day. Upon arrival we were welcomed by four young ladies to show us around. They showed us the events they would be involved in during the coming week including, rock climbing, canoeing, zip wiring, rifle shooting and archery to name but a few. On the day of our visit there were various activities on the go and a magician on stage. I tried my hand at getting a metal ring across a twisting bar. I managed to do it, but was not as quick as some of the girls. Everybody seemed to be having great fun and were looking forward to the rest of the week. 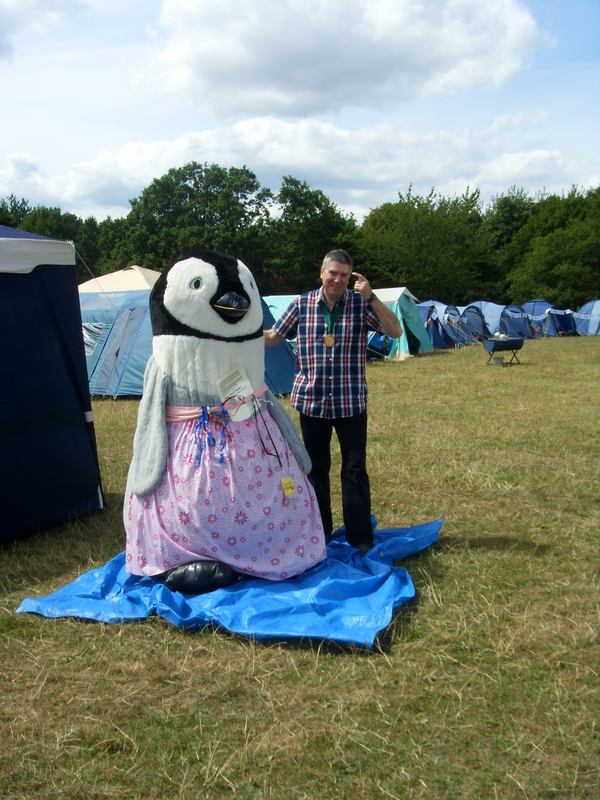 The Rickmansworth Guide Group even brought along a penguin, which I was told had great fun at the previous night’s disco. This is an annual event where Mayors, Chairmen and others are invited as recognition for the work they do in the community to make Hertfordshire a nice and safe place to live. 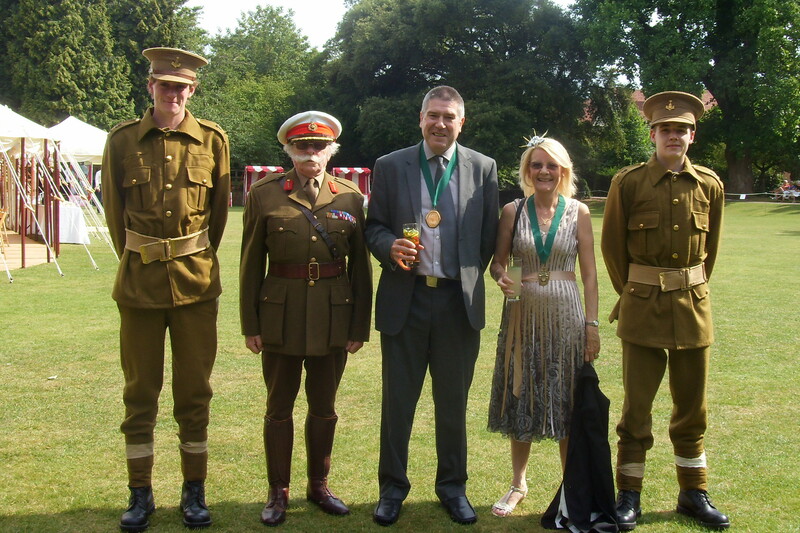 As a part of the national programme to commemorate the start of the First World War the Lord Lieutenant of Hertfordshire commissioned the making of a short film showing how this affected life in Hertfordshire and its premiere was at the Garden Party. We were given to opportunity to obtain a copy by making a donation to the armed service charity. The toastmaster and staff were all dressed in clothes that would have been worn at the start of the First World War. I felt sorry for the lads having to wear the heavy army uniforms as it was a very hot day. Dr Kevin Barrett showed me round. They have five doctors and several nurses in a building which is like the Tardis, bigger on the inside than the outside. May I encourage you to visit your doctor for a quick health check? New Road surgery are engaged in preventive measurers for health and well being. I would like to encourage you to work with your doctor on a healthy diet and an exercise plan. 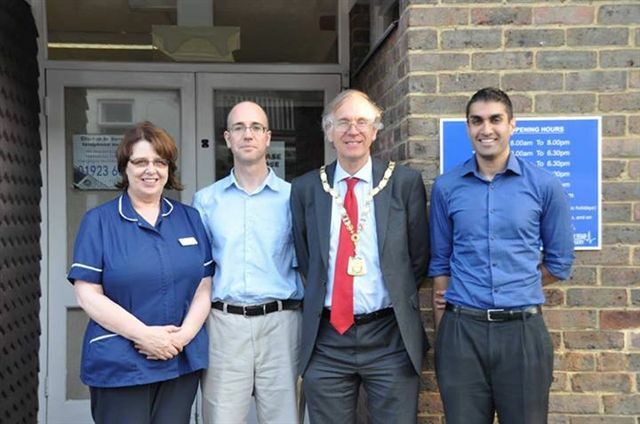 They also run a surgery in Sarratt. 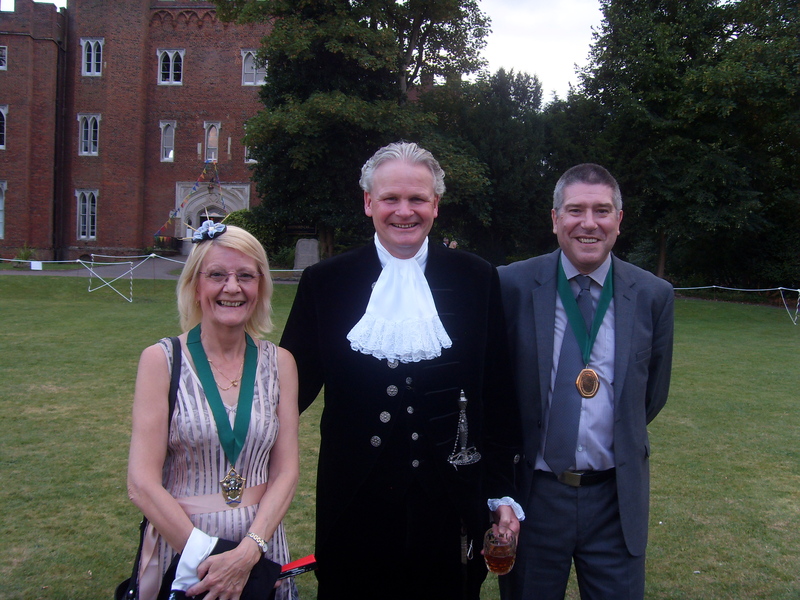 The Mayor of Welwyn Hatfield Garden Party was held in aid of the Parkinson’s Welwyn Hatfield Branch. 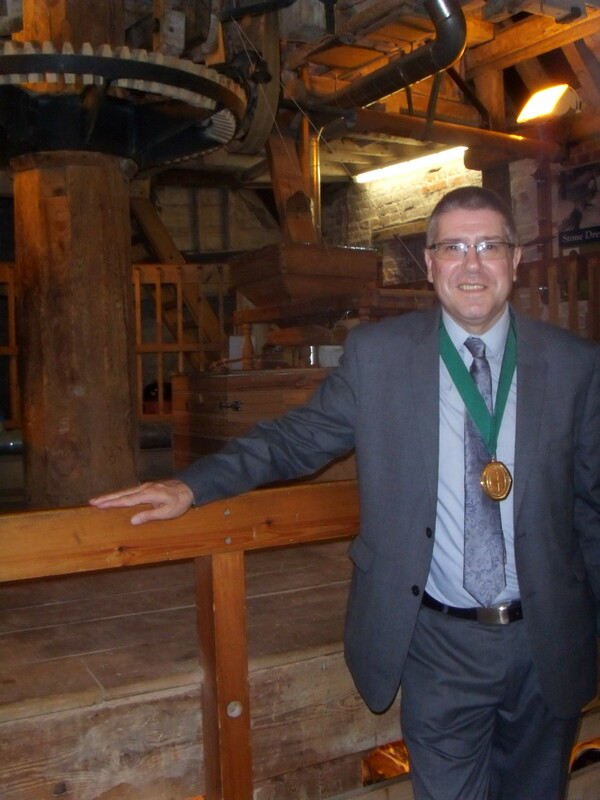 The mill and museum is just off the A1000 near Hatfield House. It is a restored and working 18th Century water mill. The party was held in the garden next to the mill and during the day we were able to visit the mill to see whole wheat flour being produced and then sold in the museum shop. The weather forecast for the day was heavy showers but we were fortunate that the weather remained dry. The Chairman Chris Lloyd was unable to attend these events, so I have stepped in to cover and will keep his blog going until he is able to take over again. 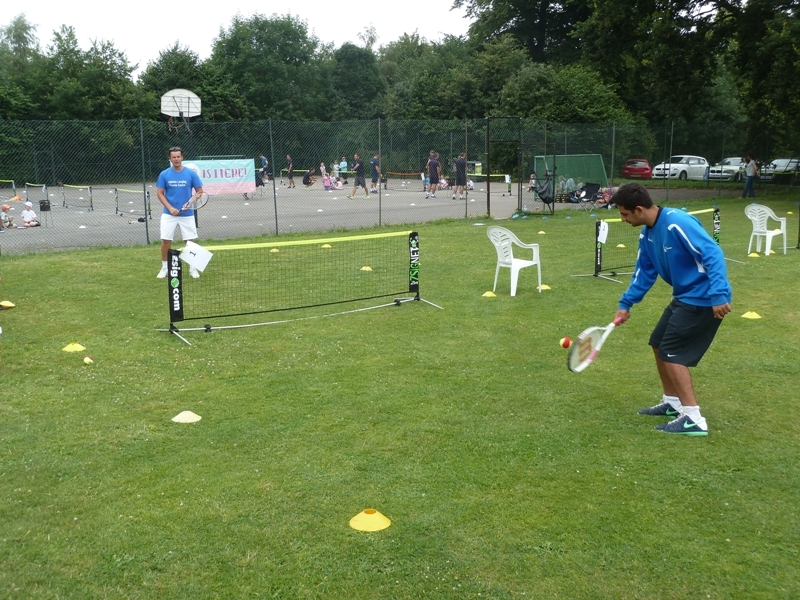 The Elms Tennis Exhibition Day organised in partnership with Three Rivers District Council was held at Leavesden Country Park, an annual tennis event which is now in its 4th year. The Tennis Exhibition Day is a wonderful local event for Abbots Langley which encourages both family and community cohesion. Admission was free. It included The Heidi Marriott Inter-School Championship. Heidi Marriott was a local mum who sadly passed away at the beginning of June last year. Heidi was always so supportive of the aims to provide quality tennis coaching to the young people of Abbots Langley. The organisers last year renamed the KS2 Inter-School championship to: The Heidi Marriott Inter-School Championship. It was a really well organised event with many courts in play at once. I must congratulate organisers on all the hard work they put into preparing and executing the Tennis Event. It was great to see so many children playing tennis at primary school age. I hope many of them continue to play at secondary school and into adult live. My wife and I enjoyed talking to the many parents who supported this wonderful event. There were skills coaching on ten mini courts, with the KS1 & KS2 held on the main 8 courts. There was also a grass court competition on four grass courts. I opened the event which was played in a good spirit and extremely well organised by James & Sophie. The 26th Festival of Cricket organised by the 28 Sri Lankan Schools Old Boys Associations was held in the UK at Merchant Taylors School Ground, and the second year it has been held within Three Rivers. I did not know what to expect apart from there would be about 5,000 passionate cricket fans mainly from Sri Lanka. The second speaker was the High Commissioner Dr Chris Norris. In the program notes he said “Cricket is a unifier of the Sri Lankan people across geographical boundaries and certainly arouses the passion and emotion of all Sri Lankans. It is also an inspiration for our youth, and serves to encourage and enthuse future generations of the country. It is commendable that all the proceeds raised by this event will be utilized for the development of the 28 schools in Sri Lanka, as well as for Cancer Institutes in Sri Lanka and Cancer Research UK”. He had trained and worked in the UK as a Doctor for 28 years. In my speech I welcomed everyone to Three Rivers. Mentioned that I had seen my first game of cricket on the pitch of Merchant Taylors School where my Father taught. I had lived in the school grounds when he ran the Boarding house before moving to Croxley. I said I had seen Gary Sobers play at Lords in the 1960s. As a family we went to the 4th day of the drawn England V SR Lankan Test at Lords. The first test series win in the UK was certainly celebrated by Sri Lankans throughout the world. As one of the key guests I was introduced along with High Commissioner to all 28 teams. Photos were taken with every team. It was over four hours after I arrived we saw a Quarter Final. The game was won by St. Anthony’s the team of the Secretary of the Festival Sam Siriwardhana. The rules of the tournament were different than any I had come across before. We visited many stalls, speaking with the stall holders and with music playing in side a court yard, it reduced the noise for the Moor Park residents. No tannoy was used to announce the games. The official role I had to play meant I did not watch as much cricket as I had expected. It was an amazing event and, like the organisers, my wife and I were delighted that we had none of the storms which hit other parts of the UK. Each team has 7 players and play 5 over’s per innings. Each team play 3 games in the first Round Robin League. The main sponsors were the Bank of Ceylon. The three other key sponsors were SriLankan Airlines , Fairway Holdings and Srilanka – wonder of Asia. 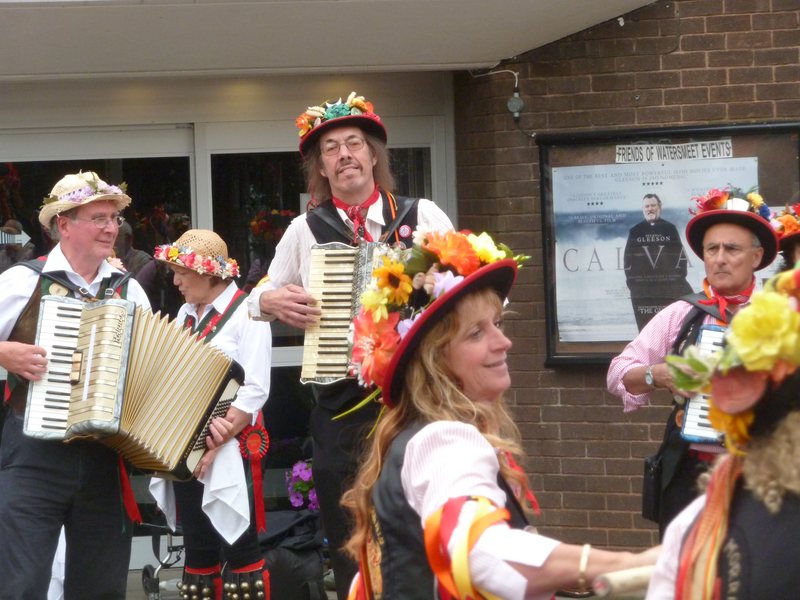 Organised by Rickmansworth Town Team, the ward held their first ever Folk Festival, with the event being supported by Phoenix Morris dancers, Rickmansworth Folk , Rickmansworth Waterways Trust and sponsored by Three Rivers District Council. Before the opening ceremony a photo was taken outside Watersmeet with the three Morris Groups Phoenix Morris, Merrydowners (Harrow) and OBJ Morris (Bracknell), with the first two groups tracing their roots to Cotswold Morris and final group to the Welsh English border. After watching for a while we went to Batchworth lock to listen to some Folk singing. We also saw the only working model of a canal. I would have to have stayed longer but we had to be on way to our next event. Other Venues used included St. Mary’s Church, the Feathers and the White Bear. 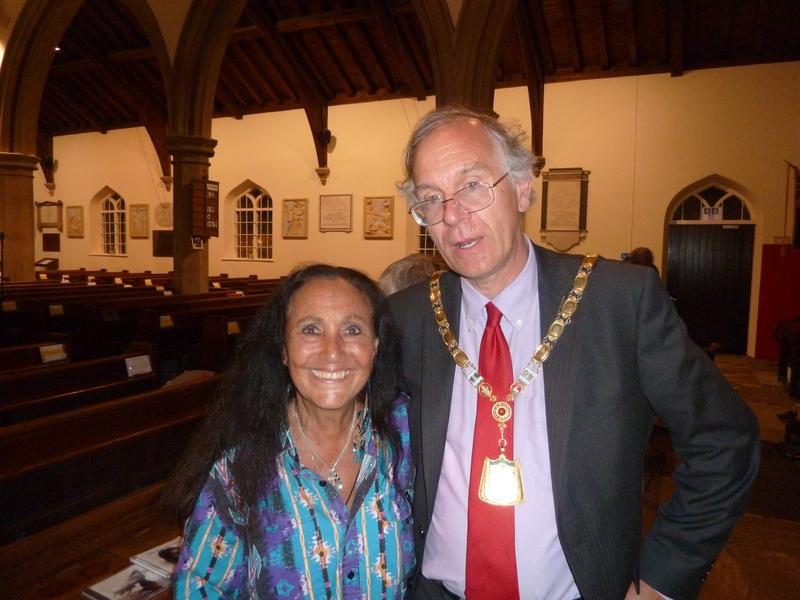 The evening concert by Julie Felix was the highlight of the first Rickmansworth Folk Festival. Julie who has lived in Three Rivers for 45 years, was born in California and learnt her musical skills from her Mexican Father, singing several of her songs in Spanish. She said getting older is hard as you lose your friends, whilst mentioning David Frost and Tony Benn. The concert started with Warp and Weft (Alison & Kim) who being performing at different venues during the day at the Festival. We had never heard Julie Felix live before, but the internationally known performer, who hosted a show on BBC2 in the late sixties, made it a special evening. Like many others we queued up to meet her afterwards and get her to sign CDs we had bought.